We've been at it for a dozen years, and we're proud to say we own and operate two of the strongest and most recognizable teams in all of Minor League Baseball. We're hands-on operators with experience in all areas of the business. We can offer industry-tested strategies that are proven to succeed. We do the catering for our own teams, and we believe our new subsidiary, Professional Sports Catering, has the right solutions for you! 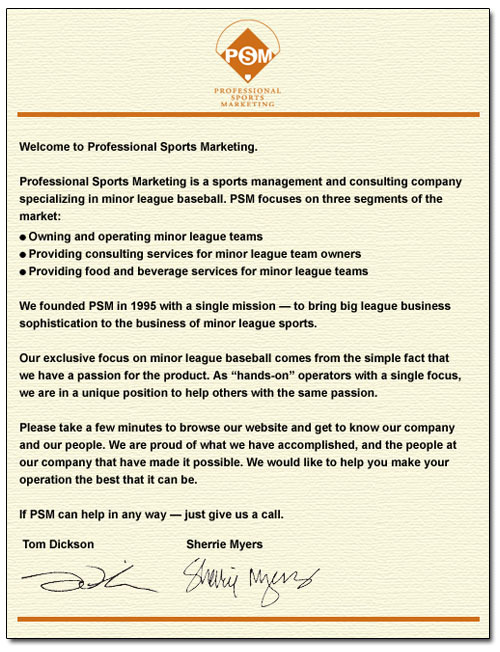 Looking for a career with one of the most successful minor league ownership groups in the business? We've got jobs in all areas to assist your professional growth.